Emily and Francisco met at a summer course in France, and soon began playing together, mostly songs from Francisco’s native Colombia. 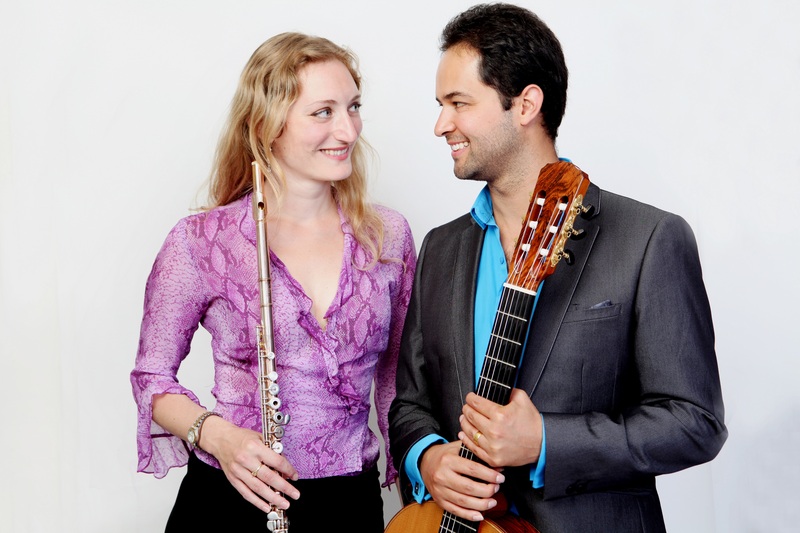 They both have flute and guitar duo’s with other people (The Andrews Massey Duo, and the Alba Duo) so they try to play different things together, exploring Latin American repertoire and singing or playing percussion as well as just flute and guitar. They have also had some pieces written for/ dedicated to them by the famous Colombian composers Francisco Gonzalez and Lucas Saboya. They have performed together in Colombia, UK and France, and have upcoming invitations to Chile and Mexico. Watch them play Bellavisa, by Lucas Saboya, written for them in 2014. Watch them play their arrangement of El Diablo Suelto, traditional Venezuelan joropo.